There are real economic processes underneath. The more fundamental the market, the closer it is actual economic transactions. These are influenced by the movement of real things, this real economy, not just the transposition of numbers on some detached Wall Street computer screens. Living in the financial services realm can make it seem like none of this is real. This is where the eurodollar attains its primacy. So many people talk about a reserve currency without ever once considering what it means to be one. It is the ultimate medium, standing in between others so as to facilitate real economy transactions from very far afield. 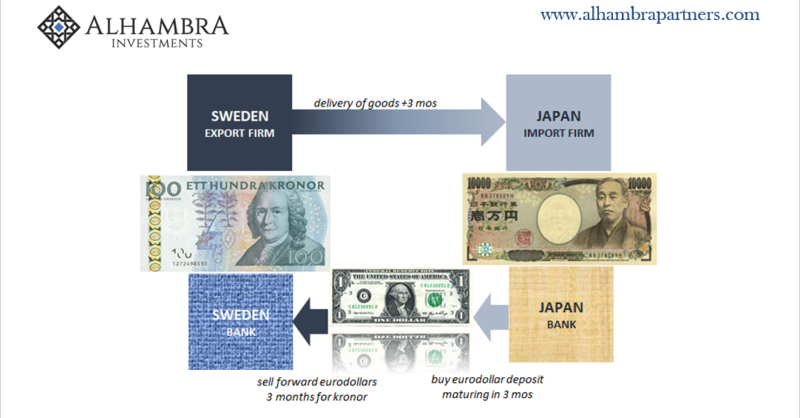 In the example I often use, a Swedish firm intends to export goods to a Japanese buyer. Trade is made efficient and flexible, therefore probable and manageable, by the eurodollar system in between; it mediates the different characteristics of each disparate system so as to standardize and harmonize the terms. 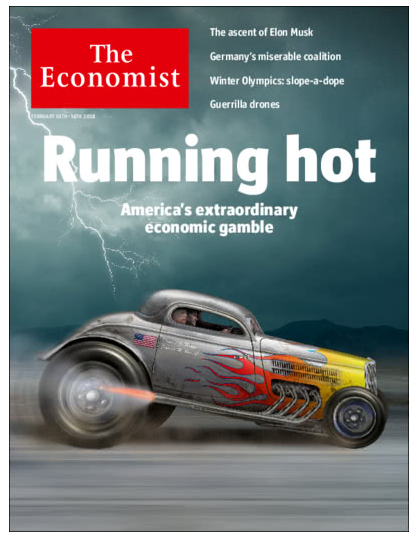 The explosion of globalization and trade alongside the advent of the eurodollar system isn’t dumb luck. This eurodollar requires banks to be in the middle offering them. But if those banks just happen to notice how Japanese firms suddenly aren’t much interested in Swedish goods, or any goods, that can be a problem for more than Sweden and Japan. 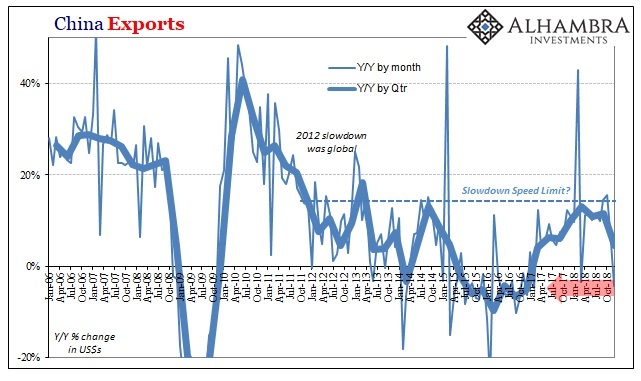 Imports into China, a primary measure of downstream economic strength in the world economy, fell by more than 7% year-over-year last month. 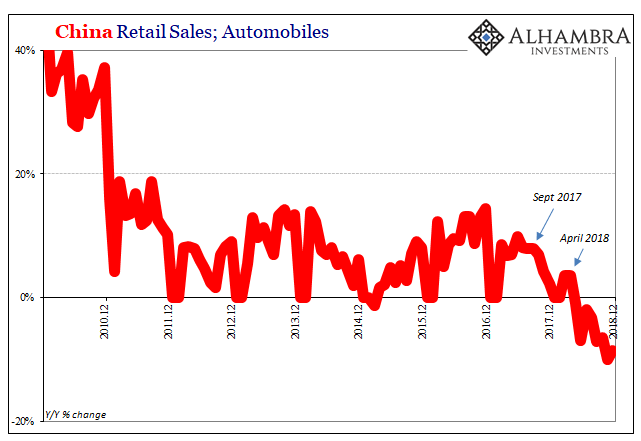 This followed just 3% growth in November. It was the first contraction since October 2016. For Q4 as a whole, imports rose just 5% compared to Q4 2017, down sharply from a 20.7% gain in Q3. It was no better on the other side. 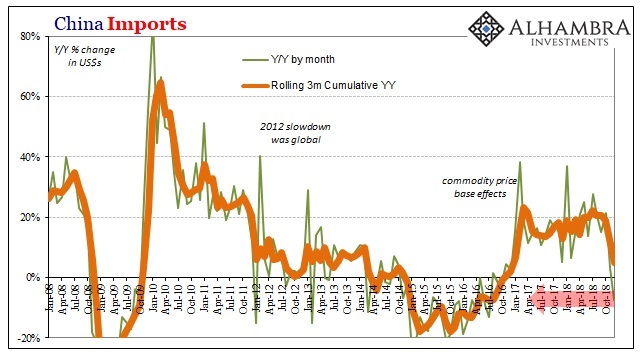 China’s export growth turned negative, too. In December, total exports were down 4.4%, the worst month also since 2016. For the quarter, outbound trade was up just 4.5% compared to Q4 2017, the lowest quarterly gain by far since Q1 2017. 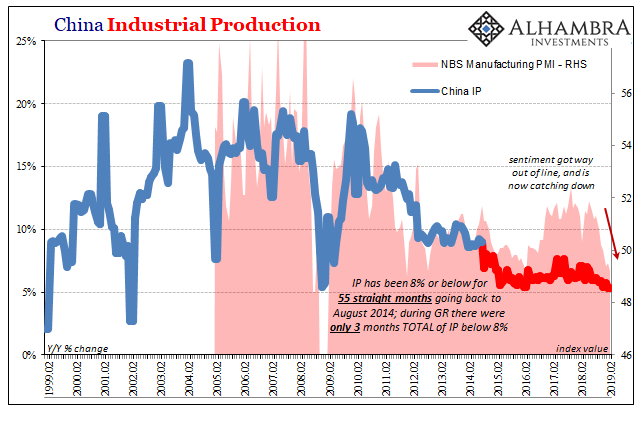 The direction of the global economy is pretty clear from these Chinese figures. 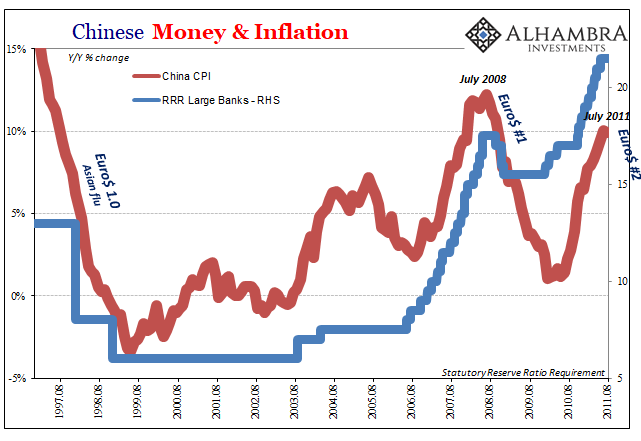 As I wrote several times in 2014, Federal Reserve officials can keep on claiming the economy is strong but China once more begs to differ. 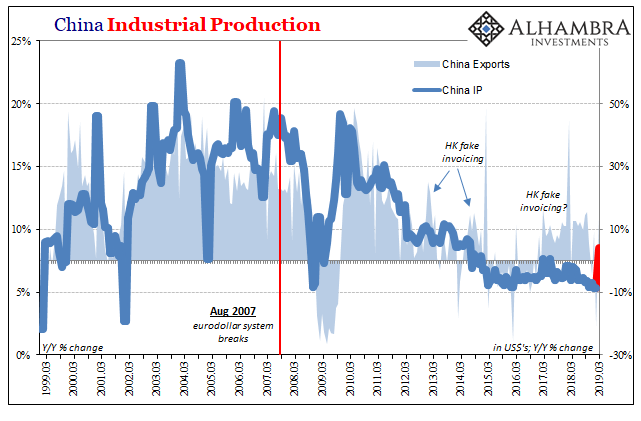 You better believe that as intermediary eurodollar banks were made privy to fewer goods being moved, and therefore financed, into and out of China they were adjusting themselves for the pretty clear consequences of what that would mean more broadly. There was very likely this fundamental emphasis for the purely financial warning of UST futures right at the end of November. Markets were pulled lower not by emotion, not at first, fears over Jay Powell being too hawkish which might at some point in the future catch up with the real economy, they were dragged down starting in the real global economy where it was already taking place. 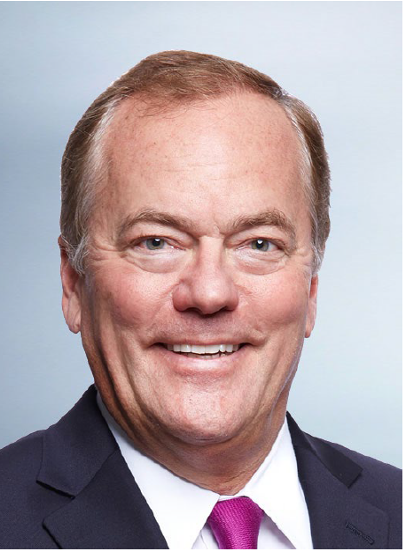 Since eurodollar banks don’t run matched books, no matter what the textbooks say, they act as contagion spreading first doubt then confirmed weakness into what becomes the self-reinforcing spiral: dealers grow wary, pull back monetary resources, then the real economy grows weak confirming to dealers the prudence of their caution. Round and round it goes. 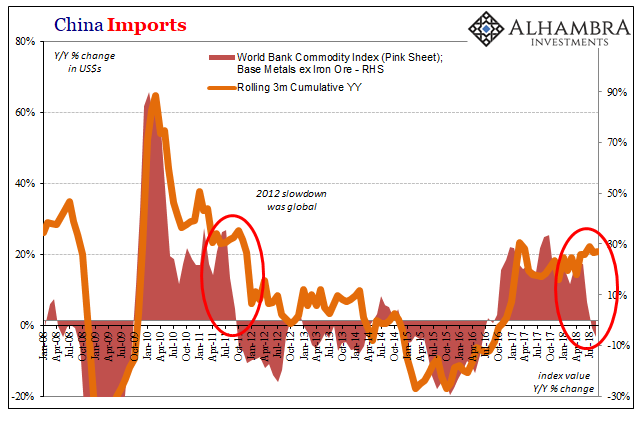 What we don’t yet know is how many “cycles” may be completed in this game of downturn; just how much economic damage will be visited before something starts to go right again (enough liquidations to square positions, enough deflationary prices to spur new demand in real trade). 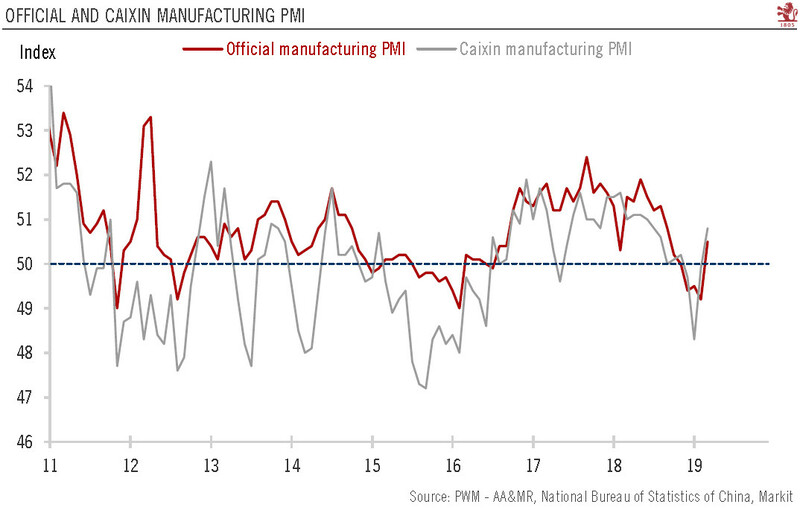 The speed at which these negative, self-reinforcing processes developed in December does not suggest a very favorable probability spectrum going forward. 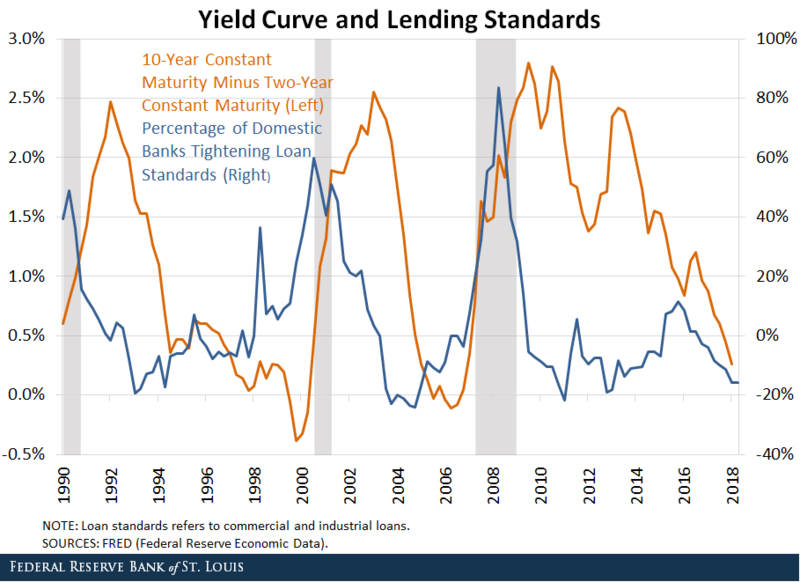 All this is the predictable outcome of the flat yield curve, especially around or now under 3% nominal. UST’s and eurodollar futures had been saying all along throughout the entire run of Reflation #3 that the chances the global economy was going to soar were nowhere near the chances it was going to sour. Curves are not just about inversion and recession; in fact, the curves are far more interesting outside of those contexts. December was extraordinarily sour, with eurodollar banks getting to taste it first and spread it around.